I wrote on this very page in 2012 that "Kaliopi seems to be a big deal in FYROM, a confident diva who knows her way around a microphone. Unfortunately she is hampered by a distinctly average Balkan ballard". Same again in 2016 with "Dona". It's here. Sheesh! "A melding of Greek, Serb, Bulgarian and Albanian cultures, and of Orthodox Christianity with Islam, has produced a fascinating culture and a uniquely distinct country that deserves more than a passing glance on the way to somewhere else. 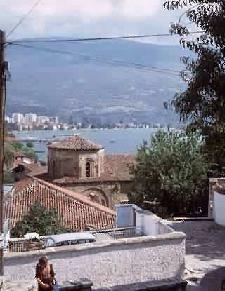 Macedonia is medieval monasteries, timeworn Turkish bazaars, Orthodox churches and space-age shopping centres. It is also the drone of the local bagpipes, Turkish-style grilled mincemeat and Balkan burek (cheese or meat pie). The country is unbelievably green and breathtakingly gorgeous; its people are hospitable and welcome visitors." "After a devastating earthquake in 1963 killed 1066 people, aid poured in from the rest of Yugoslavia to create the modern urban landscape seen there today. It's evident that the planners got carried away by the money being thrown their way, erecting oversized, irrelevant structures which are now crumbling because of lack of maintenance." A Macedonian shepherd had to hire a truck and drive his sheep home after they got drunk. Ordan Vandov, from Negotino, was talking to a vineyard owner who offered him some leftover pressed grapes for the sheep. But when the shepherd came to set off again with his flock, he realised the sheep were staggering around and many were unable to walk. He left the sheep and walked five miles to the nearest town where he hired a truck to drive them home, local daily Dnevnik reported. Mr Vandov said: "I've never seen anything like it. They were completely drunk. They couldn't even stand on their own four legs." One of the longest named countries in the world. One of those nations which look great on paper. 336BCE Alexander inherited the throne of Macedonia and all of Greece. Within 4 years he conquered the entire Persian Empire. 323BC Alexander died in Persia at Babylon at the age of 32. 199BC-150BC The Romans make Macedonia into a province and obliterate Corinth. 1903 Up to 50,000 Bulgarian men, women and children are massacred in Monastir by Turkish troops seeking to stop a Macedonian uprising. 1912 During the Balkan Wars Greece acquired Macedonia from the Ottoman Empire. Faced with fighting on four fronts, (Greece, Ottoman Empire, Romania, Serbia) Bulgarian armies were defeated. Atrocities were widespread. 1929 Kingdom of Serbs, Croats and Slovenes, including Macedonia, formally changes its name to the Kingdom of Yugoslavia. 1963 Skopje destroyed by earthquake and over 1,000 were killed. 1991 Macedonia gain independence from the former Yugoslavia. 1999 China severs relations with Macedonia after they recognize Taiwan. 1999 Around 200,000 refugee Kosovar Albanians overwhelm Macedonia. 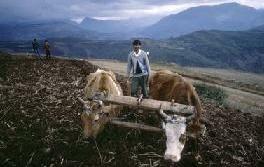 2001 Macedonian and Serb leaders agreed to work together to fight ethnic Albanian guerrillas. 2005 Macedonia start EU membership talks. He said: "I filled up the tank with petrol, paid and then just drove off. I was very tired and not thinking straight. "She usually sits in the back seat so I didn't really see she wasn't there, until I got a call when I was already in Germany." My Ivanov immediately drove back to Pesaro to pick up his wife so they could resume their holiday. "I had a lot of apologising to do," he said.